My bike - Taught me something! All those people who ride geared vehicles are pretty much used to the operation of gears in their vehicles. If you observe clearly, you will see that the gear shift is apt only when you have reached certain speed and not before that. You can change to 4th gear while you are on just 12kmph but it doesn't serve any purpose but only hampers your gear system. Only when you reach sufficient speed above 40kmph does shifting to 4th gear helps out. Likewise in life we cannot reach the next levels in our careers or education just by a mere wish of ours. It might be possible to take the title belonging to the next level but never will we be able to do the justice that the position deserves. On the other hand we are going to put more pressure on ourselves and destroy our very own systems. Let's take a simple example of an official scenario for better understanding. A fresher who joins a company might wish to become the manager directly. He can be nominated through some influence or politics in the company but he will not be able to handle the responsibility that the position demands due to lack of experience. Only when he works for sufficient time learning the stuff at work and then execute things on his own will he be promoted to the level of tak-ing up tasks independently. Once he can do his tasks and also guide others in his team, he will be promoted to the senior level. Only after he finishes all tasks assigned to him along with guiding and managing a small team in a project all by himself and accomplishes the organization goal, will he be promoted to the level of a manager. In every dimension of life, it is important for us to climb the next steps but it can't happen just by wishing for it. We will have to perform as per the work expected at the next level without any title and only after we have proved our worth through our work as per the expectations of the level will we be eligible to take up the position and the designation of the next level. Unfortunately people are deceived by the paycheck associated with any position in life. They feel that they need not perform more than what their current position demands unless they are paid for that. Some are so stubborn that they would have convinced themselves so much that they will not do even an ounce of work extra apart from what their position asks from then. 'When you aim at the sky, you at least land on the tree top'. As a result, many of them even fall short of living up to the expectations of their current positions itself. 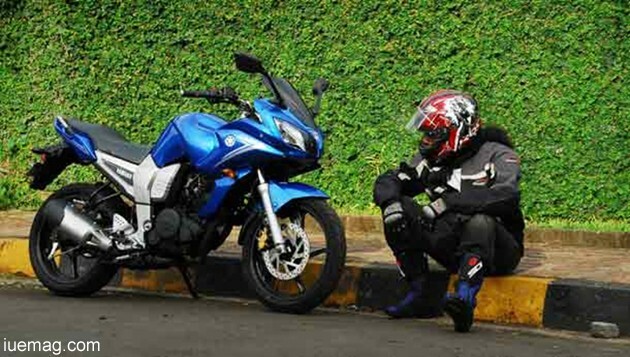 Once the bike reaches the top gear at the right speed, then the gear propels the bike to run at much higher speed with economic fuel consumption and with less stress on the engine system. Similarly once we reach the next levels of our life through sufficient work and experience, these next levels will empower us even further with new resources and lessons that shall increase the efficiency of our work and help us get promoted through the next steps of the ladder towards success. No one can skip through the learning curve of life. If anyone thinks that s/he has made a leap without going through the curve then it only brings back her/him to the place where s/he took the leap to go through all the steps in sequential order. Hence let's notch up our work to sufficient speeds and put the gears only to work more and grow through the higher levels of life.